The collection is called Clever and Confident – like the sound of that and these are two of the six shades available. The pink is called ‘Happy as is’ and the green is called ‘Versatile’. The other four shades include a purple, a blue a golden orange and a shimmering berry sort of shade (I’m loving the name of the golden orange ‘Silly but Sensible’). Colour wise these are both creamy, impressively pigmented – only two coats to flawless coverage and go on so smoothly. 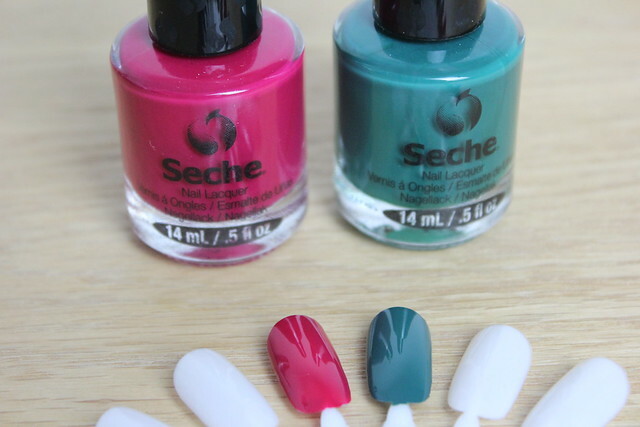 They also have such a glossy finish, like the magic Seche Vite top coat – that shine you see is two coats, applied and allowed to dry before taking pics. Not bad huh?! My favourite of the two is Happy as is – the pink – I’, not usually a pink girl when it comes to nails but I like how rich this shade is. 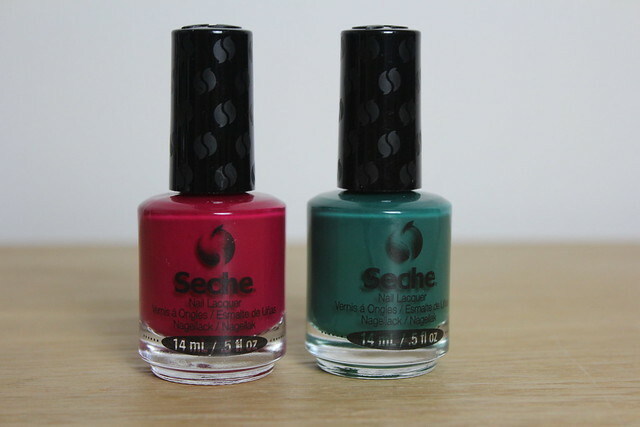 What do you think of these Seche colours?! Are you a fan of the top coat too?! Oh I love versatile, such a lovely colour, I will be trying these out! Love the green! I have the top coat from this brand and love it! WOW!!! That red is AMAZING!! !